The Science Museum in South Kensington has revealed an increase in demand for daytime events following last year’s announcement of its brand new, multi-functional events venue, Illuminate, which will open in February 2019. The diary officially opened for Illuminate event bookings at the end of June, and the venue has received over 100 enquiries, including multiple day conferences, exhibitions and product launches with average delegate numbers of 250. The Science Museum has already received confirmation of three events to take place with these companies looking to be one of the first to host an event in Illuminate. With such a wide variety of subjects and industries represented at the Science Museum with an ethos of innovation and inspiring futures, Illuminate is the ideal platform to host an engaging event or launch a brand. 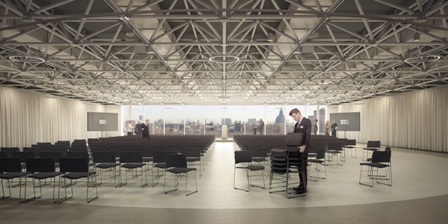 The unique venue has formed a range of exclusive partnerships to meet industry demand for a fully dedicated conference and events space with Moving Venue Illuminate’s exclusive caterer and White Light its assigned AV partner. Ben Lheureux, head of events and catering at the Science Museum Group, says: “Illuminate will be one of the first of its kind in the unique venue industry, and will enable us to meet increased demand for a fully dedicated conference and events space within the museum. With the help of Moving Venue and White Light we’ll be able to offer streamlined event packages ensuring a convenient and cost-effective booking process for clients. Illuminate is currently under construction but will be open for site visits towards the end of 2018.